Created in 2006 by Alexandre Feray in Toulouse, OpenAirlines began by providing consulting and business services to airlines and aircraft manufacturers, notably to Air France and Airbus. In 2014, turnover was 1.1 million euros with 30% growth over 2013. Since 2013, the company has developed and commercialized SkyBreathe, the most efficient software solution in the world when it comes to improving aircraft fuel consumption. Using big data algorithms, the software automatically analyzes the huge amount of data available in flight data recorders (the “black boxes”) to assess the fuel efficiency of flights. It is the only software in the world to integrate actual flight conditions (payload, weather conditions, trajectory, air traffic control constraints, etc.) while other solutions use simplified statistical parameters. Based on this information, the airlines can implement the most effective best practices to reduce their fuel consumption. SkyBreathe is already in service or in the process of being implemented by some ten airlines around the world including Transavia, an Air France subsidiary. In fact, such tools make it possible to reduce up to 5% of the fuel consumed on each flight. This expense is strategic for the airlines given that fuel accounts for some 30% of their costs. Alter Equity3P is the leading French investment fund committed to Sustainable Development. The Alter Equity3P investment in particular should enable OpenAirlines to expand its marketing and sales resources on a fast-growing air traffic market which today is still rarely equipped with such systems. With this funding, OpenAirlines is going to open subsidiaries in Asia, USA and the Middle East in 2015 and 2016. 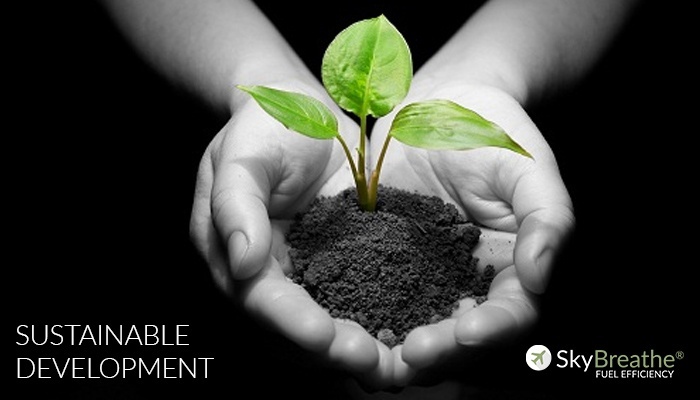 SkyBreathe is right in step with the d’Alter Equity3P philosophy by empowering airlines to lower their fossil fuel consumption and cut greenhouse gas emissions. Created in 2013, Alter Equity3P is an investment fund committed to socially responsible, profitable growth and sustainable development. The fund supports activities and behaviors which are fundamentally respectful of the long-term value of nature and human beings, while continually striving to achieve attractive yields for its stakeholders. This combination is embodied by the 3Ps in its name which stand for People, Planet, and Profit. It completed the largest series A round of fundraising in the French Impact Finance, raising some 33m euros. Alter Equity3P invests in growth capital from 500.000 to 5 million euros in companies which have achieved some one million euros in turnover.